Whelp, it all started when I was looking up transistor radios tonight, and then clicked on the 12 days of Christmas, and here I am. 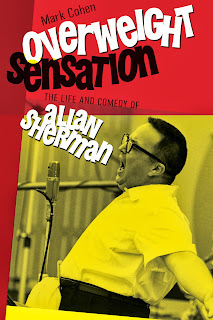 Have had a great time listening the Allan Sherman's songs and hope I can get your book at the library (I'll put in a request) I know I'll love it, though I am not Jewish. Dad spoke a lot of Yiddish he learned from the ladies in the neighborhood in southside Chicago. He would tell us to get to bed or he would spank us, in Yiddish. I have been using that as my touchstone expression, and say it just as severely, and the room silences, and the kids (or whoever) know I spoken for the last time. Here is a great book I am reading you will enjoy, the only book by Simone Signoret, yes the French actress. It is fantastic, about Jewish immigrants to Paris, and becoming French. I am almost finished and I am going to miss it. Title: Adieu, Volodya, 1986, trans from the French. Try it, you'll like it. Worldfree4u well as I am going to neglect this. Identify: Adieu, Volodya, 1986, trans on the French. Do it, you are going to as it.